Elizabeth City’s newest jobs creation partnership set sail literally and figuratively on Friday, Sept. 28, as two Coast Guard search-and-rescue boats took participants on a brief tour of the city’s harbor before dropping them off for a panel discussion and luncheon at The Center at Arts of the Albemarle. 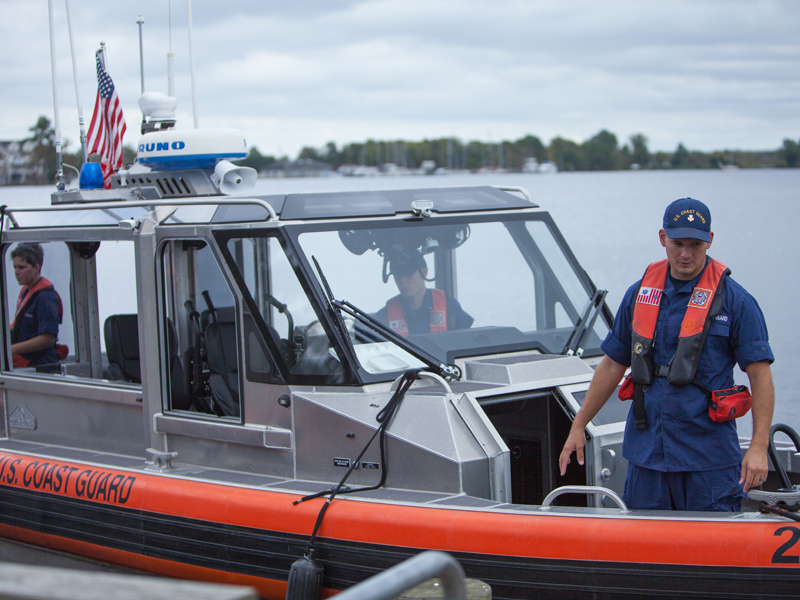 Members of the U.S. Coast Guard from the Air Station base in Elizabeth City, N.C. prepare the search-and-rescue boats ahead of the tours. 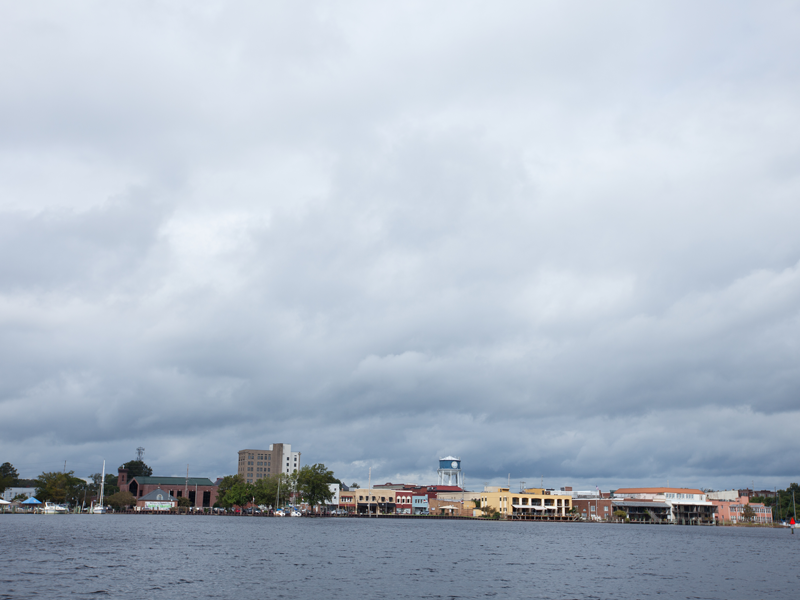 The view of Elizabeth City, N.C. from the harbor. 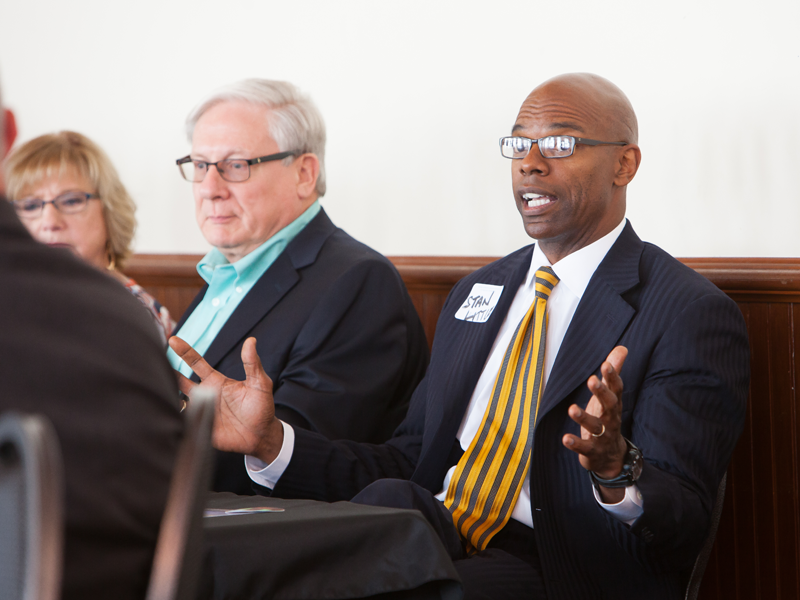 NCGrowth Director and Kenan Institute of Private Enterprise Executive Director Mark Little. 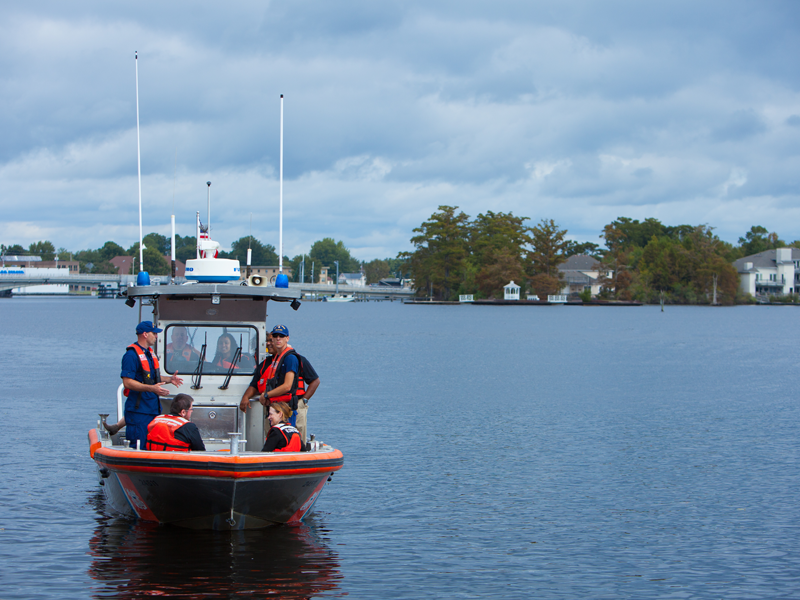 The Coast Guard provided three boat tours of the Albemarle Sound. 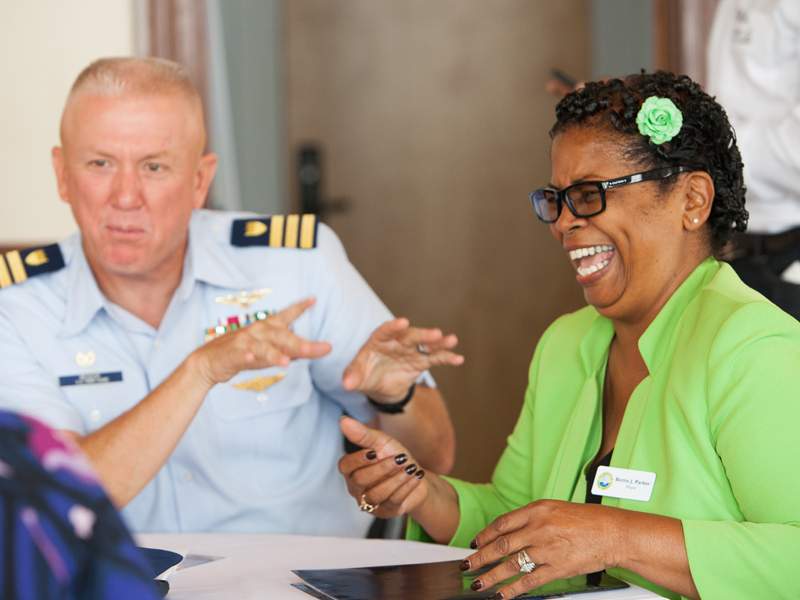 Coast Guard Commander Randy Meador and Elizabeth City Mayor Bettie J. Parker engage ahead of lunch. NCGrowth Associate Director LaChaun Banks explains the work NCGrowth does in rural economic development throughout Eastern North Carolina. 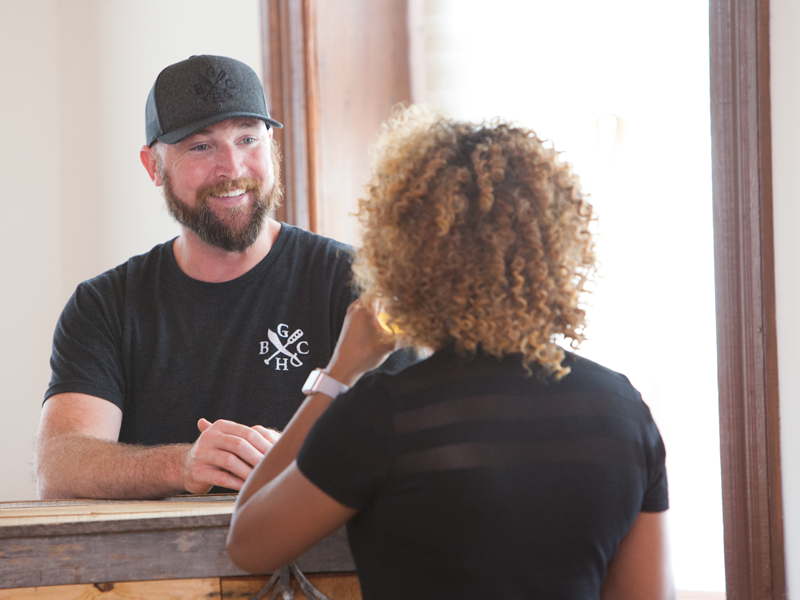 A representative from Ghost Harbor Brewing Company provided samples of its beers. The day concluded with a panel featuring Caitlin Davis, Michael Twiddy, Angie Wills, Ginger O’Neal, Bob Brugnard and Stan Little. SunTrust Foundation President Stan Little commends the SmartUp Program and the opportunity it will bring to Elizabeth City and surrounding communities. 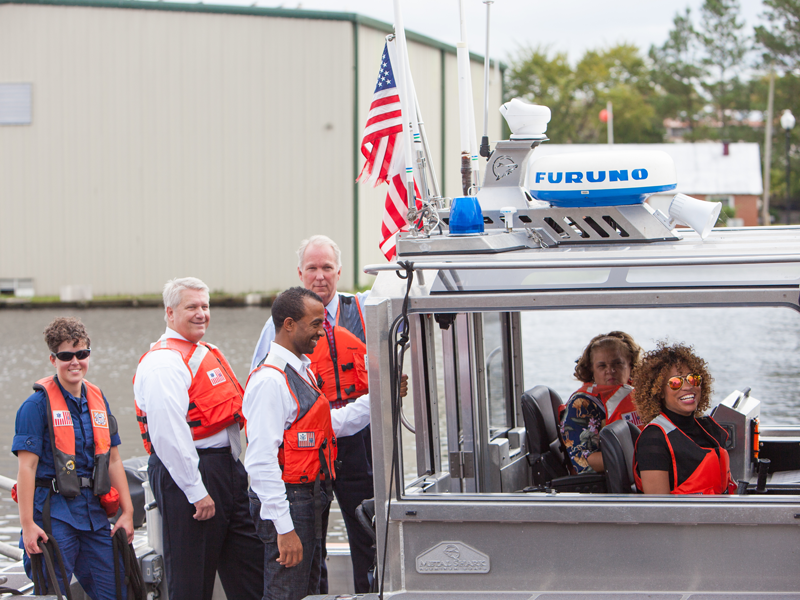 The boat rides were part of the launch of SmartUp, an initiative designed to develop business incubators and foster jobs growth in three high-potential communities in North and South Carolina. 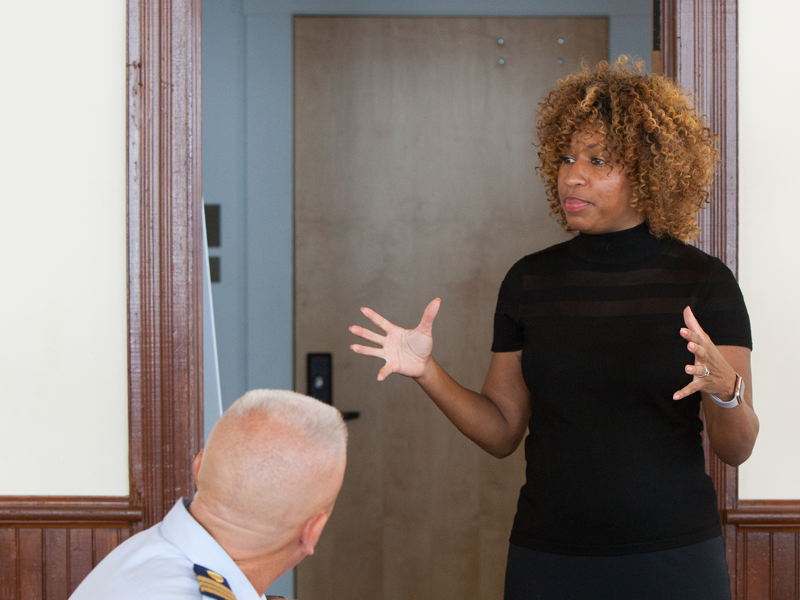 The program is a project of NCGrowth, an affiliated center of the Kenan Institute of Private Enterprise, and will be funded by a SunTrust Foundation grant of nearly $1 million. 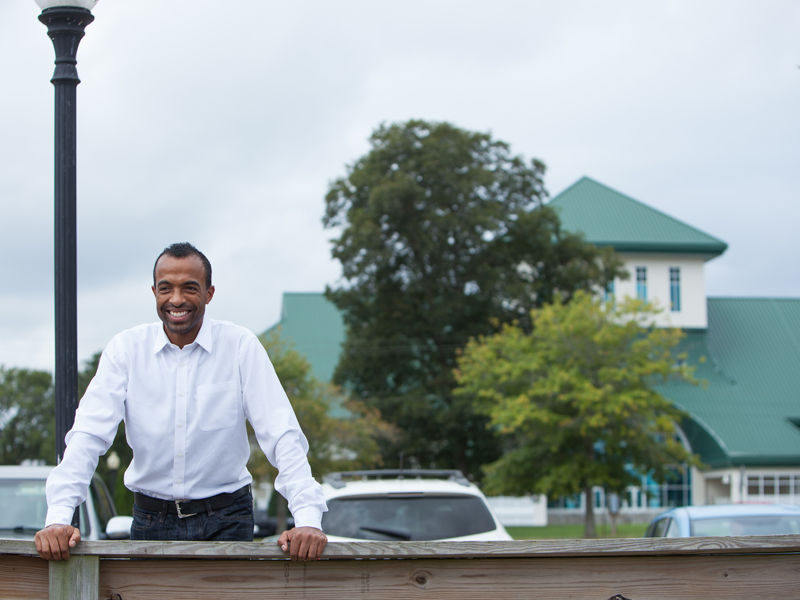 SmartUp will work to support community businesses committed to local hiring, connect them to resources and strengthen existing entrepreneurial ecosystems. 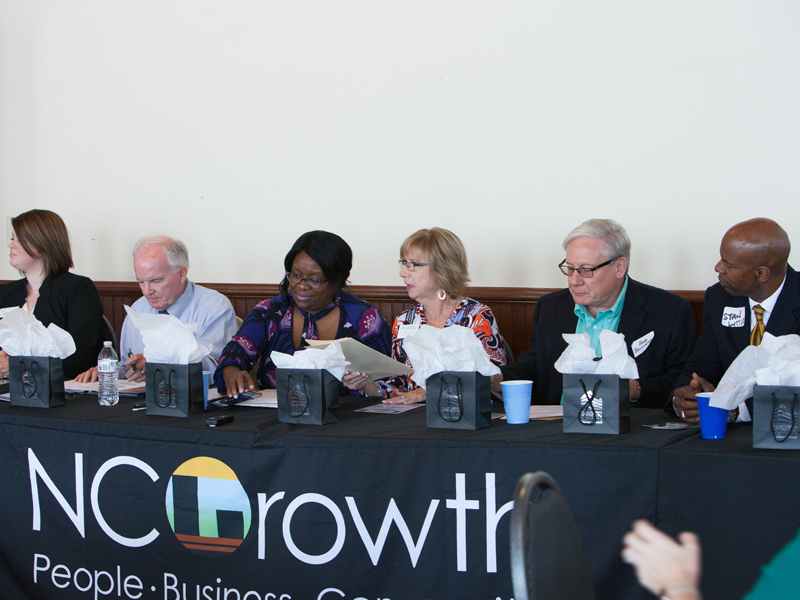 The Sept. 28 event brought together members of NCGrowth, the SunTrust Foundation and local government, education and business organizations to discuss the needs of the entrepreneurial community in Elizabeth City. Panelist Ginger O’Neal, director of the College of the Albemarle’s Small Business Center, said the primary challenge for many small businesses is a lack of access to working capital. O’Neal said that many startups have trouble meeting the guidelines and collateral requirements necessary to fund their venture.